Snowbirds will get a break with a new, six-month payment option for a membership at the Flagler County School Board’s Belle Terre Swim & Racquet Club. So will everyone else, especially students, on a monthly or quarterly payment plan as the board on Dec. 15 approved lower club fees. The rates go in effect Jan. 1. Annual rates will stay the same for all categories (families, couples, seniors, students). Families will still be paying $564 for an annual contract. But for families paying month-to-month, the rate will fall from $109 a month to $90 a month. Annualized over 12 months, it still works out to $1,080, almost double the charge if a family were to sign an annual contract. But the new monthly fee is almost a fifth lower than the old fee. For students (between 13 and 19 years old), the monthly fee falls from $69 to $40. The semi-annual contract is a new addition designed to attract more snowbirds. Adult and Community Education Director Robert A. Nocella proposed the lower rates to be more competitive with other Flagler County health clubs. Palm Coast’s Anytime Fitness, a national chain with some 1,000 clubs (in Palm Coast, it’s at 260 Cypress Edge Drive), for example, charges $55 a month on a month-to-month plan for a single adult, or about $37 a month if the individual signs an annual contract (the charge doesn’t include a one-time $20 security fee). A family of four on an annual contract would pay $1,032, or the equivalent of $86 a month. The chart below outlines the 2010 fees in all categories at Belle Terre Swim & Racquet Club, with, for comparison’s sake, the 2009 fees in italics and the total fees annualized over 12 months in parentheses. 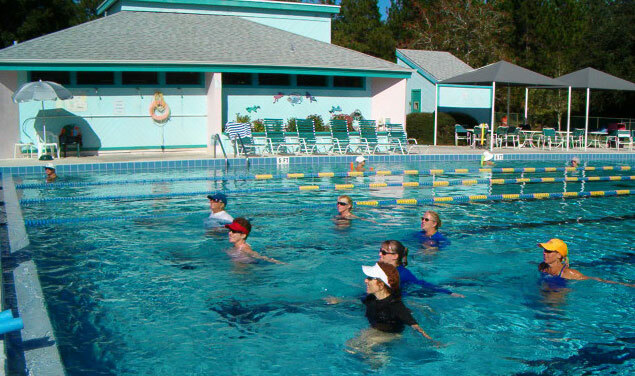 Belle Terre Swim & Racquet is located at 73 Patricia Drive in Palm Coast. Off Belle Terre Pkwy on to Parkview Drive then to Patricia Drive. Near Wadsworth Elementary School. Telephone: 386/446.6717. I do a lot of muscle building in parks. In this case the tips have helped me good.